Winter; Traditionally a time of sleeping, eating, and burrowing. Though, we no longer live with the seasons in our society, so consequently, winter has become a time, like all the other times, one of business and stress. This resistance to succumb to the slow, dark pace of winter can result in a manifestation of disease. We are fortunate during this time to have the plants and fungi as our allies. Love the polypore perennial mushrooms for allowing harvest throughout all seasons. Let us neither forget nor ignore this preciousness during this season. Polypore Mushrooms endure great stress. They are some of the most weathered beings out there. As I sit cozy inside, the Fomitopsis’ the Trametes’ and Ganodermas of the forest stand the wind, the rain, the snow, the cold, the warmth, yet they continue to grow, gaining more resistance as the weathers abound. I was recently reading about this therapy of ‘Grounding’ – The idea that the electrical currents from the earth can improve our sleep, anxiety, inflammation, and accelerate healing time post injury. 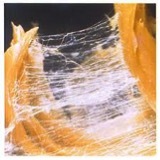 As our deep fascial network provides a mycelium like sock over our musculature, electrical currents run through passing information throughout. Each muscle its own knoll, and valleys and ravines lay in between. These waves move in amongst and throughout it all delivering signals around. When there is a blockage in this fascial network, these signals do not move as quickly. A blockage can be formed from events like tight muscles, dehydration, inflammation – knots can form from lack of stretching and water intake, fascia will bind to muscle and skin, making it difficult for information to pass. 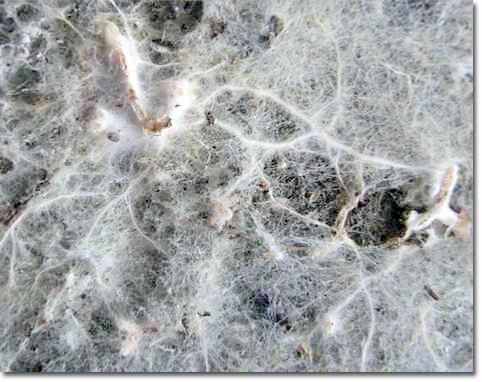 Electrical pulses stimulate the growth of mycelium, and very well do they hasten our own healing. The electrical pulse of the earth in direct collaboration with our own mycelial-like fascial network can improve our own response to stress and inflammation. Mycelia work as a network of communication for the flora of the forest, as our fascia and neurons do for our own internal terrain. Maybe this connection is the doctrine of signatures that explains a way that mushrooms work as adaptogens – how they help our bodies adapt to stress – or decrease the blockages so information can move through without so many obstacles, in turn increasing our own vitality, or Qi. This idea about the fascia and blockage of our information network is just me postulating about the doctrine of signatures relating mycelium to fascia. There is much information regarding Medicinal Mushrooms being beneficial for what can be debilitating consequences of a prolonged stress response. This is a good time to grasp this knowledge, seeing that it is the holiday season and many of us have time off from stressful lives at school and work, and then are hit with the stress of the holidays. The response to stress is, like most of our bodily processes, beautiful, perfect, and a negative feedback loop, not meant to be constant. Throughout history of humanity, the stress response is critical to acute stressors, and up until recently in civilization this idea of chronic stress did not exist. The systemic response to stress is the HPA axis. This is the Hypothalamus-pituitary-adrenal axis. When a stressor occurs, like being chased by a bear, or having to take an exam, the hypothalamus releases corticotropin releasing hormone, signaling the pituitary to release adrenal corticotropin releasing hormone and then the adrenals release catecholamines, and corticosteroids such as cortisol. The cortisol then acts on the hypothalamus in a negative feedback system, turning off the production so that no more cortisol will be released. When this stress turns chronic, the negative feedback system stops working so well – the adrenals become fatigued. This can then lead to fatigue, inability to fall asleep and/or stay asleep, immune system suppression, weight gain, low libido, etc. Adaptogens are a class of herbs and fungi which facilitate the body in adapting to this chronic stress. Ideally we would be able to stop the major cause of stress and would not need the adaptogens, but that isn’t always an option. Adaptogens can be both beneficial and detrimental to ones health, depending on the ones we choose. A more stimulating adaptogen like Rhodiola rosea or Panax ginseng can help in the time of stress but then, consequently, leave you feeling even more burnt out. Medicinal mushrooms are considered to be gentle and safe, and I have yet to hear of someone experiencing burnout from taking them. 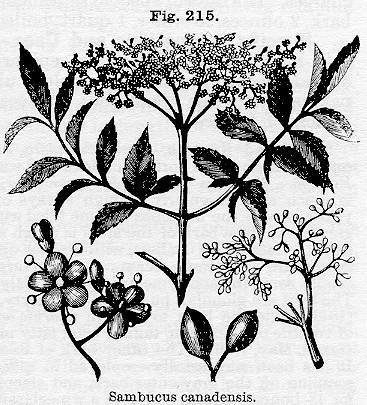 Though, they do not tend to work directly with the HPA axis, so some would not even consider them adaptogens. Other than one article¹ reporting positive anxiolytic effects in mice, using Royal Sun medicinal mushroom, Agaricus brasiliensis, I have not been able to find any research regarding medicinal mushrooms and the HPA axis specifically, but rather an abundance of research regarding the mushrooms and the repercussions of chronic stress; this being their immunomodulating, hepatoprotective, antihistamine, weight stabilizing, anxiolytic, aphrodisiac and anti-tumor properties. The Triterpenes, or secondary metabolites, have been studied the most in this regard. The spores and crust of the polypore mushrooms have the highest triterpene content, and these are best extracted using methanol, ethanol, acetone, or oil (You will see in the recipe below, that there is coconut oil added to the syrup for this reason). A comprehensive review² of the biological activities of Ganoderma ssp. triterpenes concluded numerous actions that indirectly help the body to adapt to stress. Allergies and viruses are more active when our body is under stress, and the Ganoderma triterpenes have been found to have potent activity against herpes simplex virus and inhibit histamine release. Lanostane triterpenes, (the triterpenes found in Ganoderma spp.) Ganoderic acid B and C both have histamine inhibitory effects.³ In regards to body fat, Ganoderma triterpenes were found to significantly reduce triglyceride accumulation by 72%, as well as inhibiting HMG-COA reductase (the key regulatory enzyme in cholesterol production). Under stress, it also becomes difficult to think clearly and the Ganoderma triterpenes have anti-cholinesterase activity. Less degradation of the neurotransmitter Acetylcholine can improve cognitive functioning, and some anticholinesterase drugs are used to treat Alzheimer’s disease. (Rosmarinus officinalis and Salvia miltiorrhiza both have anticholinesterase activity as well – I’m sure you have heard of Rosemary enhancing memory. Also, under chronic stress inflammation may be more prevalent. Macrophages are one of the critical immune cells in the regulation of inflammatory responses. Activated macrophages secrete a number of different inflammatory mediators. When there is an excessive production of these mediators, inflammatory disease is exacerbated. Lanostane triterpenes can help prevent and treat inflammatory disease by inhibiting production of inflammatory cytokines.4 Ganoderma applanatum, Ganoderma oregonense and Fomitopsis pinicola all contain these lanostane triterpenes. Mushrooms, like people, are more than just a bunch of different molecules. They contain their own energy and this is one of strength and endurance. We don’t need to know about the chemicals they contain to know that they are grounding beings of great vigor. Simply observing this, and their way of being throughout the seasons, gives us enough information that they are superb and precious medicine, and a medicine that can be of great importance during times of stress. With a hand held emulsifier, hand blender or any other kind of blender, emulsify the mixture. The purpose of this is so that there isn’t a layer of oil sitting on top of your syrup. Also, doing this emulsification step creates a creamy delicious consistency. Put on Oatmeal, Pancakes, Waffles, or just take it by itself! Zhang, Chunjing, Xiulan Gao, Yan Sun, Xiaojie Sun, Yanmin Wu, Ying Liu, Haitao Yu, and Guangcheng Cui. “Anxiolytic Effects of Royal Sun Medicinal Mushroom, Agaricus Brasiliensis (Higher Basidiomycetes) on Ischemia-Induced Anxiety in Rats.” International Journal of Medicinal Mushrooms Int J Med Mushrooms 17.1 (2015): 1-10. Web. Xia, Qing, Huazheng Zhang, Xuefei Sun, Haijuan Zhao, Lingfang Wu, Dan Zhu, Guanghui Yang, Yanyan Shao, Xiaoxue Zhang, Xin Mao, Lanzhen Zhang, and Gaimei She. “A Comprehensive Review of the Structure Elucidation and Biological Activity of Triterpenoids from Ganoderma Spp.” Molecules 19.11 (2014): 17478-7535. Web. Ríos, José-Luis. “Effects of Triterpenes on the Immune System.” Journal of Ethnopharmacology 128.1 (2010): 1-14. Web. Dudhgaonkar, Shailesh, Anita Thyagarajan, and Daniel Sliva. “Suppression of the Inflammatory Response by Triterpenes Isolated from the Mushroom Ganoderma Lucidum.” International Immunopharmacology 9.11 (2009): 1272-280. Web. Disclaimer: The information I provide on this blog isn’t intended to treat or diagnose any disease, just information from published research, read by me and written to you. You can decide what to do with it.